Little Spider Creations created a one of a kind sleigh for kids and adults to sit in and take photos for Christmas. Little Spider Creations hand created this sleigh as a photo op for a Christmas event. 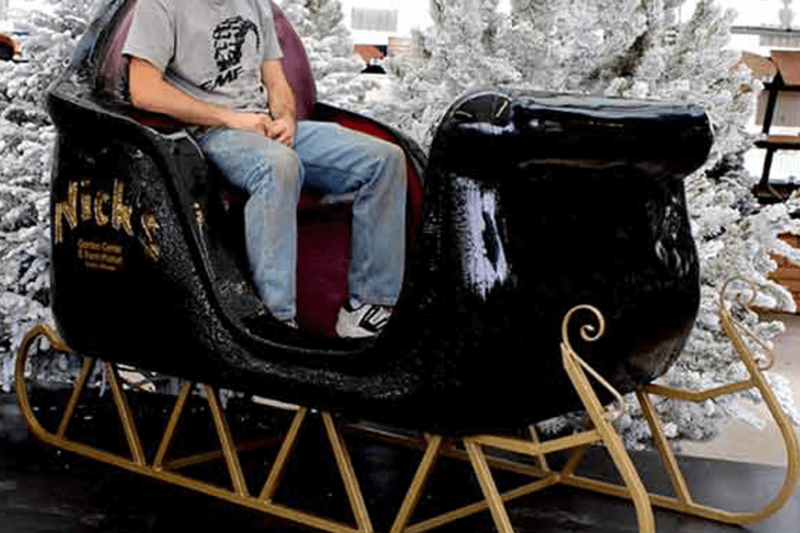 Using a mixture of foam and metal fabrication, we were able to create a realistic sleigh.